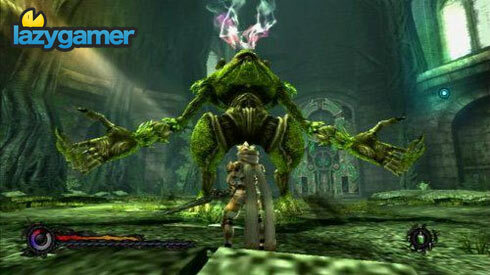 Pandora's Tower review – Is hope left inside? In case you were wondering where the recent slew of RPG love on the Wii came from, you can thank the fan-based project – Operation Rainfall – for convincing Nintendo of America to localise Pandora’s Tower, Xenoblade Chronicles and The Last Story. 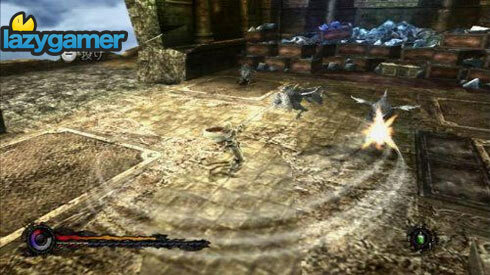 It takes balls to make an action RPG for the Wii, a platform riddled with vapourware and kiddies’ fare. But is this the swansong the Wii really wants or deserves? Pandora’s Tower follows the tragic exodus of Elena and Aeron. Fugitives from the army, they head towards The Scar with twofold purpose: To cure the curse Elena has, which will eventually cause her to turn into a hideous monster and to avoid the army by hiding in a place whose existence the army refuses to acknowledge. Aided by a Vestra woman, the two learn the grisly cure: eating the flesh of the demonic inhabitants of the 13 towers, which are suspended in The Scar with mighty chains. Besides sounding gross, Elena’s religion forbids the eating of any meat, adding to her anguish. To obtain meat from his foes, Aeron is given the Oraclos Chain, a magical weapon which allows Aeron to sense how Elena fares with her disfiguring curse. So begins a race against time, as Aeron is pitted against puzzles, monsters and far too many dead ends. Can he collect enough flesh and reach the top of the tower in time? The chain allows him to break the seals of each tower’s master chamber, but at what cost? While exploring the towers, a gauge depletes. As it drops, the more disfigured Elena will be when Aeron returns, causing stress for both. Let it empty completely and it is game over. Pandora’s Tower is part action RPG and part dating sim. Strengthening the bond between Elena and Aeron is pivotal to the game, as it unlocks the various endings. Talking to Elena, giving her gifts, giving her flesh to eat before she disfigures and decorating her living area all help to ease her mind and anguish. Do you spend your money on items that help you survive, or do you buy trinkets for Elena? Luckily weapons are almost pointless, as only two of the bosses actually respond to anything other than the yank of the Oraclos chain. Absolutely awful voice acting, coupled with the fact that all Aeron seems to say is ‘Elena!’, ‘no’ and several grunts and gasps, hardly helps the player to become emotionally vested in the action. The way in which Aeron dumbly accepts everything and trusts everyone without question is annoying, as the player is left to puzzle most of the story together through random correspondence and research notes. An absolutely beautiful game, which really showcases what the Wii can do. Sadly, so much more could have been done with the Oraclos chain and the RPG elements of this game. Time limits, limited inventory space, a near silent protagonist, dead ends, limited monster types, unanswered questions and predictable bosses and story all remind me of RPGs and games from back before I had chest hair. Sadly, that era of gaming is past for most of us. The idea of playing through this repetitive formula twice to get a better ending makes my stomach churn. 16 hours to finish the first time, without doubling back for extra exploration; this game is long. Sadly, it is too long for its own good. Instead of 12 towers, the game could have done without towers six through 10, and without the need for a second play through to get a proper ending. 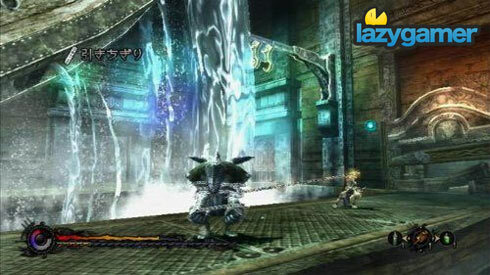 Pandora’s Tower is a unique offering, and has the ability to capture the heart, if you are a hopeless romantic. Sadly as you spend time in the game, the veneer and charm start to wear off, thanks to repetitive rubbing. This journey is one that will be forgotten quickly.